If Christmas was sedate and tranquil, January was an exploding glitter ball. The month began with the high flying Cinderella at the London Palladium, the middle featured La La Land, the bookie’s favourite at the Oscars, and the grand finale was a splendid performance of ‘La Cage Aux Folles’ at Norwich’s very own Theatre Royal. Literally meaning ‘the cage of crazy women’ – in fact ‘folles’ is French slang for screaming ladies of an entirely different gender. ‘Cage’ enjoys a glorious pedigree – the original 1973 French play, the 1978 (my coming out year) Franco-Italian film, ‘The Birdcage’, a 1996 Hollywood remake starring the late, great Robin Williams and a multi-gonged stage musical. The latest revival is now doing the rounds in the provinces. After Trump’s depressing God’s own country speech at his inauguration, it certainly revived me with its delicious ‘I am what I am’ bugger the bigots message. John Partridge’s performance as Albin, the ageing drag queen, was a revelation – totally OTT one minute, delicately poignant the next. The Norwich crowd gave him a well-deserved standing ovation. 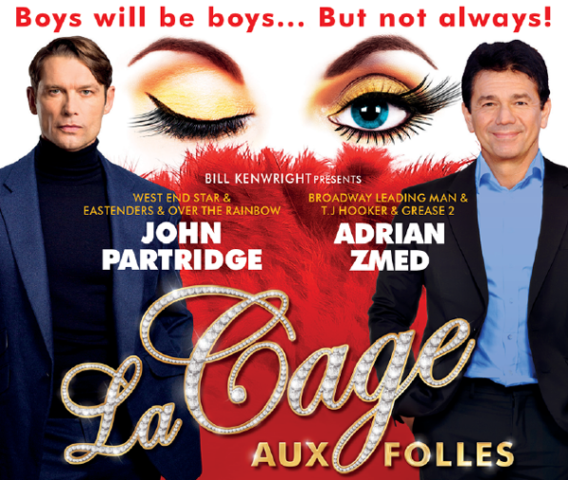 Loved Cage aux Folles – hope it makes the West End soon and will definitely be going for an even more fabulous night! proper little ‘culture vulture’ – not so sure about buggering the bigots though, better to shoot them! 😀 I like that, very fair! Don’t suppose it will be touring any where near me – looks fun.